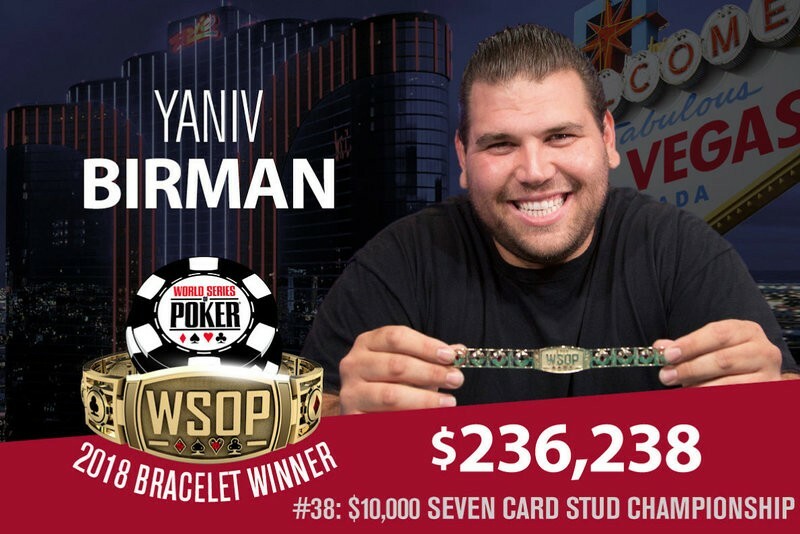 Yaniv Birman outlasted a difficult final table to win the 2018 World Series of Poker $10,000 seven card stud event for $236,238 and his 1st gold bracelet while doing so. The 35-year-old entrepreneur from LA, had to overcome four WSOP bracelet winners at the final table, including two two-time winners in Jesse Martin and Ben Yu. “I barely ever play tournaments; it was fun. I got here on Monday, and this was the first tournament I signed up to,” Birman told WSOP reporters after it was all over. After 2 days of action, the field was tightened to simply the eight-handed final table, with Birman sitting atop the leaderboard. Jesse Martin held the 2nd biggest stack to begin the day. Martin knocked out Joseph Cappello in 7th place for $29,306 to keep his hold on the second-place spot. Ben Yu sent out Australia’s James Obst home in 6th place for $37,904. The 2017 WSOP $10,000 razz champion made a set of aces after obtaining the last of his chips, yet Yu struck 2 set on 7th street to win the pot. Yu maintained his streak going by busting 2014 champ of this occasion Matt Grapenthein in 5th place ($50,669). Keeping that Yu took control of 3rd place on the leaderboard. Jesse Martin knocked out Lee Salem in 4th place for $69,928 to establish three-handed action in between the pair of two-time bracelet winners and Birman. Event #38, $10,000 Seven Card Stud Championship, attracted 83 participants and offered a prize pool of $780,200. 13 players made the cash, with these 5 paying but missing the eight-player final: Al Barbieri (9th, $19,428), Todd Brunson (10th, $19,428), Perry Friedman (11th, $16,700), Nicholas Seiken (12th, $16,700), and also Michael McKenna (13th, $14,910). 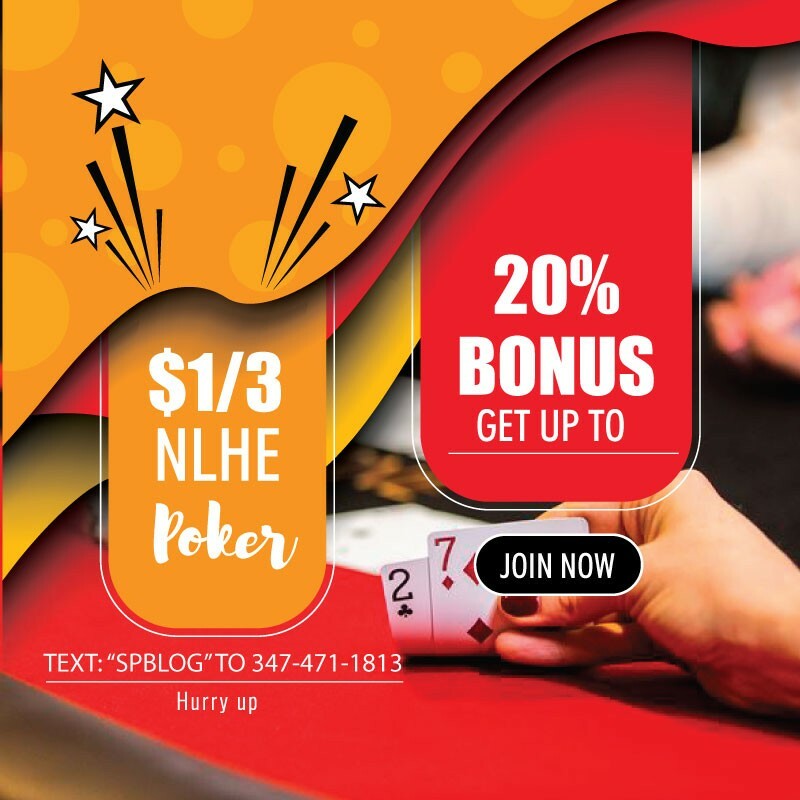 Live at the Bike – $900 to $7,000 in 15 Minutes!